THIS ARTICLE IS COPYRIGHTED FOR SEBIANHEALTHCENTER.COM ALL RIGHTS RESERVED. Do you know, the number of people with poor vision is growing rapidly? This issue isn't among the senior citizens only. Even teenagers and children are struggling with some degree of vision loss and consulting professional eye specialists regularly. According to the old wives' tales, sitting to close to the TV is bad for the eyes. But, in reality, there is no evidence behind it. In fact, there is no evidence behind lots of other myths as well, such as computers can damage the eyes or people inherit that trait. The common causes of poor vision vary. For example, some people deal with blurry vision too. They lose the sharpness of eyesight on occasional or frequent basis. It is tough for them to keep objects in focus. Qualified eye doctors believe that this can be a temporary situation, because of hectic routine when your brain isn't able to concentrate. However, at the same time, it can be an indication of serious eye problem. You are perhaps dealing with some sight threatening eye disease. It is better to consult a eye doctor immediately. Before we shed light on some natural remedies, first it is better to comprehend the six common types of poor vision. Far Eyesight Problem: It is one of the most common problems that hits 1 out 3 adults. Even the children and teenagers aren't safe from it. Though, luckily, it can be corrected through eye glasses, surgery, or contact lenses. Near Eyesight Problem: In this type, as the name suggests, the near vision is poor while far vision is perfect. This usually troubles adults when they reach 40s. Besides, there is a similar condition like it which is known as 'Presbyopia'. Uneven Cornea Curvature: This is a tad complex eyesight issue; the cornea has an uneven curvature that causes blurred and double vision. It can be treated with eyeglasses and refractive eye surgery too. Dim Vision: This problem is known as 'Cataract'. It is a quite primarily issue in adults and seniors. In the simplest words, if you have dim vision, the light cannot pass easily through your lens. Since, it is not as clear as it should be. Raised Eye Pressure: It is a serious problem, and it should NOT be treated with natural remedies. If you are dealing with raised eye pressure, it is imperative to check with a doctor first. As in this problem, the fluid of the aqueous humor is unable to drain out normally. This issue leads to serious eye nerve damage in the long run. People with this condition have symptoms of glaucoma - halos around lights and cloudy vision. 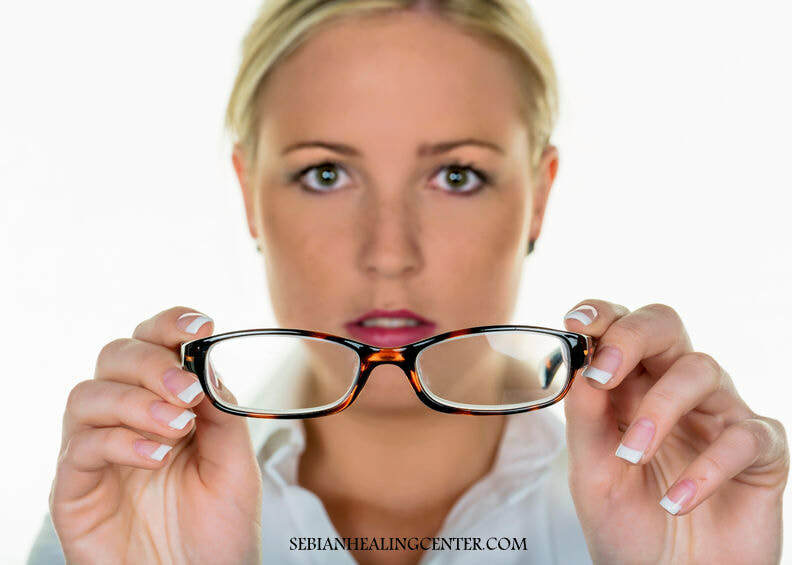 Retina Destruction: If you cannot recognize faces easily, read fine prints, or do intricate works that require sharp eye attention, even with glasses, it means there is some issue in the retina. Don't opt for natural remedy, as it can lead to blindness. Only a professional eye specialist can treat this issue or recommend effective medications. All in all, if you have far eyesight problem or near eyesight problem, you can count on natural remedies. However, in other types, natural remedies won't work. Because, most other types demand surgery, or they can only be prevented with certain medications. Please, remember that poor eye vision can be caused by several other factors too, which we don't consider. Small factors like aging, hectic routines, constant stress, and excessive strain on the eyes (if you are on laptop 24/7) can also hand you blurry and poor visions. Try these below remedies. We assure you, they cure poor vision in 3-4 weeks. Indeed, you'll notice improvement in vision within a few days. The first thing you can do is to opt for some specific eye exercises. They bring energy and blood flow to the eyes to maintain optimal vision. Simple exercises like holding pencil at arm's length, focusing on it and moving it farther from your focus until you no longer keep it in focus, helps a lot. You can repeat this exercise 10 times at least. Other than that, rolling your eyes clockwise for a few seconds and then anti clockwise for a few seconds strengthens your eye muscle. Do that 4-5 times each day. Saffron is perfect for eye and can treat everything from bleeding eye sockets to macular degeneration. It is so easy to use also. You can eat the strands alone, make some tea or grind the strands and fill a capsule half way up. Another favorite is cayenne. Cayenne is anti-inflammatory. Use only a very tiny amount and dilute in some distilled water and add it to the eye with a dropper. Bentonite poultices are also an old world cure being used today for vision problems. Dr. Sebi suggests eyebright. Eyebright has been used for centuries and comes in capsule form or drops. You can also buy it on Dr. Sebi's Store but the capsules and drops are available on Amazon also. Chicory root is an excellent source of vitamin C and A. It was brought to the North America from Europe in the 17th century. It contains those elements which are constantly needed by the optic system. The daily consumption of it can bring amazing results in correcting eye defects. Many people with poor eye vision have corrected and regained their visions within a few months. In fact, most of its users have taken their glasses off. Its root is commonly used as a substitute for coffee too. Foods that help poor vision are cold pressed olive oil, nuts, dark berries such as black berries, blueberries and cherries, fruits and leafy veggies, onions, and kale. Vitamins that have been successful are: Vitamins A, C, E, B complex and B12. Dr. Sebi suggests that you need to clean the intestines and pancreas. The 3 products he suggests are: Eyewash (Eyebright), Endocrine (tronadora, dandelion leaf, prodijiosa, contribo and Chaparo Amargo) , CC4 (see video below) and Lupolo. Take precautions! This isn't exactly a remedy, but it can help big time. For instance, avoid using devices like laptops, computers, and TV for longer periods of time. If you are a reader/writer, try to take frequent breaks to relax your eyes. Next, it doesn't matter what you are doing, always change the focus of your eyes after every 3-4 minutes. Look away and rest your eyes. In addition, try traditional methods for improving sharpness and relaxing eye muscles. Soak a ball of cotton in rose water and place it on your eyes for 5-10 minutes each day. It definitely brings the power of your eyeglasses down. According to the WHO, half of the population over 65 with poor vision is in the United States. Even the developed countries aren't as safe as we think. But, fortunately, it can be prevented and treated quite successfully if you'd follow the above natural remedies.